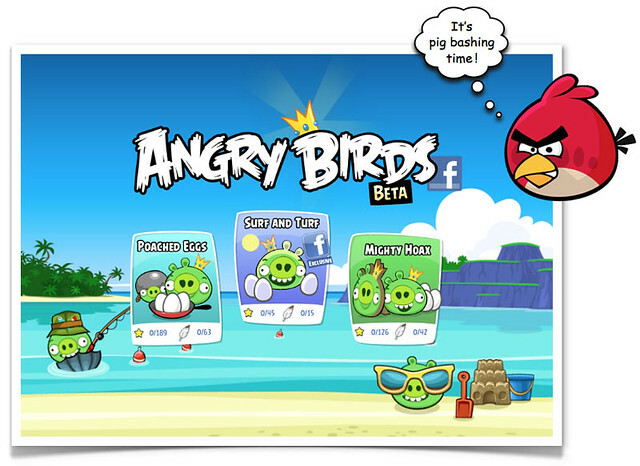 iPhone Savior: It's Time To Play Angry Birds on Facebook! It's Time To Play Angry Birds on Facebook! Rovio has chosen Valentine's Day to launch Angry Birds on Facebook. The fierce fowl have arrived just in time to give the other half of the planet not celebrating undying love today a needed distraction. Even though you'll find some heart-themed content on the Angry Birds Facebook wall, getting into the game is all that really matters. Then click on the option to Play Game. After clicking on Play Game let it load - then click on the desired version to play. You'll get 14 power-up points for Valentine's Day. Enjoy! It was great to see the original illustrations by Scooterek on how Angry Birds look after the game included in photos. It's a great day to be angry!